Rehearsals for this production start on Sunday 28th April 2019 from 2:00 to 5:00 pm at the Methodist Chapel on Weaverham Road. Full details of the production will be decided after this initial rehearsal. After this, the rehearsals will be every Sunday afternoon until the show date which will be Saturday 6th July 2019. If you are interested in taking part, please come along to find out more. Reports received regarding problems on Cockpitt Lane – regular passing attention has been given during early evenings and will continue to do so. Village Hall - Passing attention given whilst on duty. Behind Sandiway Library - Passing attention whilst on duty. The fishing pond - I have been made of this via social media – I will attend this location during my shifts; I will also make enquires as to who is responsible for the land to see if they can assist in resolving the problems. Burglary at Chatwins: this is still being investigated. Future enforcement to be carried out on Forest Road, Weaverham Road, Blake Lane and Norley Road. I have spoken with the warden of St Johns Church who will be advising the congregation to use the car park on Weaverham Road and not to park on the road. Norley road: I have noticed via social media that people have been parking on the path blocking on the pavement - this was not reported to the police. I will monitor the area and deal with any offending vehicles. Would suggest that maybe we have a sign on Norley Road advertising the alternative car park on Weaverham Road as some visitors are from out of town and may not be aware of the facility. The local Police will be holding a stall at the village gala. Sandiway Primary school Junior Safety officers will be assisting me with using the speed gun and also designing parking leaflets to issue offending vehicles. Also I am looking at holding some youth engagement events during the summer months; I am yet to confirm dates as I am waiting for responses from organisations on their availability. There will at present be 5 vacancies on the Parish Council for years 2019 to 2023. The Parish Council will consider co-opting at the meeting to be held on Monday 20th May commencing 7.15pm at Cuddington Village Hall. If anyone is interested, please contact Parish Clerk Julie Chrimes 01606 852444 or Parish Council Chairman John Faulkner 01606 882780. Police appeal after burglars target businesses in Weaverham and Cuddington. At 4.11am on Saturday 30 March officers received reports of an incident at Tesco Express on Northwich Road, Weaverham. They discovered that unknown offenders had broken into the store and stolen cash from the till, along with several bottles of whisky. The offenders then ran down an alleyway at the side of the store and are believed to have got into a getaway car in Kendrick Close. Less than 24 hours later, at 11.11pm, officers were called to reports of suspicious activity at Chatwins on Norley Road in Cuddington. Officers discovered that that three unknown offenders wearing balaclavas had broken into the bakery and stolen a quantity of cash. The offenders are believed to have fled the scene in a blue car. It is not yet known if the two incidents are linked. Detective Constable John Brundrett said: “To have incidents of this nature in such close proximity is extremely unusual and we are committed to doing all that we can to trace the people responsible. The investigations into the two incidents are ongoing and we are following a number of lines of enquiry – at this stage we are keeping an open mind as to whether the burglaries are connected. I am keen to hear from anyone who was in the areas at the times of the burglaries occurred and believes they may have witnessed something that may be relevant to our investigation." Anyone with information that may help detectives with their investigations should call Cheshire Constabulary on 101, quoting IML 360712 for the Tesco burglary or IML 361465 for the incident at Chatwins. 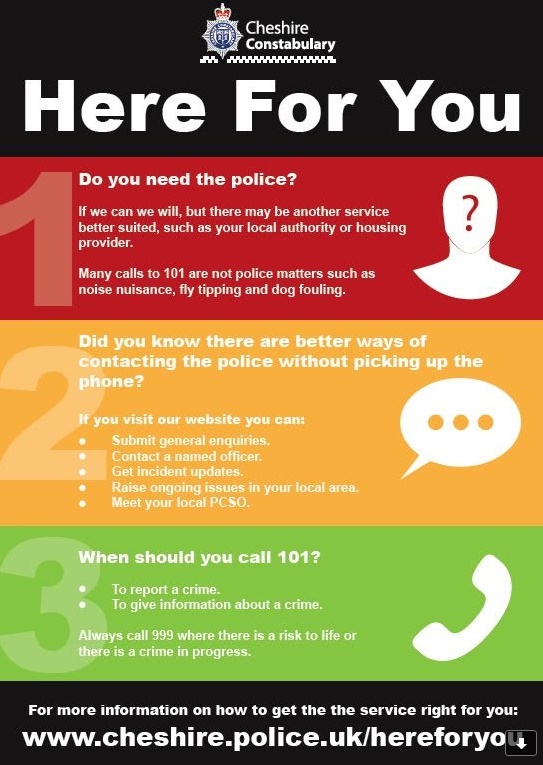 You can also give the details via https://cheshire.police.uk/contact/general-enquiries or contact Crimestoppers anonymously on 0800 555 111. Vacancies for Co-option will take place on 20th May during Parish Council meeting. An election is unnecessary for Cuddington Parish Councillors as no wards were over-subscribed. The election for Borough Councillors will still be held on 2nd May. 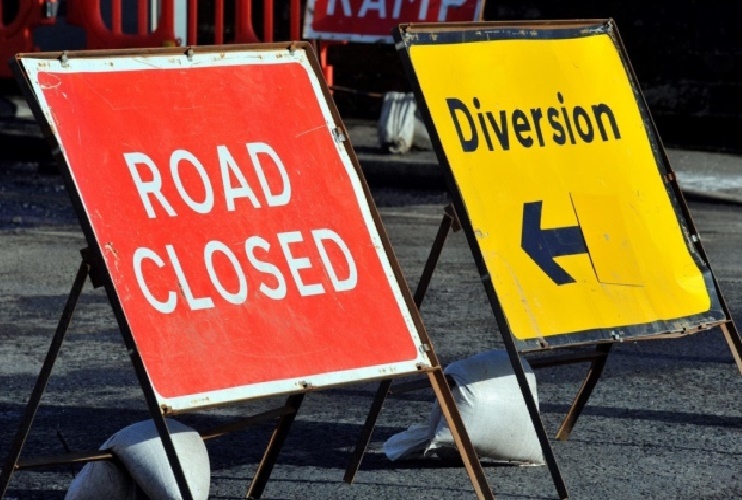 Please find attached notice and plan for a temporary road closure notice for Weaverham Road, Cuddington, between Chester Road and Norley Road which commences on Tuesday 2nd April 2019. This is necessary "for safety reasons to enable preparatory works to be carried out by Cheshire West and Chester Council". The works are expected to last for "approximately four days". Update: The work has now started and the road is closed. We can only assume that this stretch of Weaverham Road will be closed until Thursday/ Friday. D&G Bus did have a notice last week that School Lane and Mere Lane bus stops would be out of service during the work but that Ash Road stops would still be in service. Please find the additional attached notice and plan for a further temporary road closure on Weaverham Road, this time between Sandiway Primary School and Hodge Lane, to commence on Tuesday 9th April 2019. It is anticipated that the work will last for four or five days. This is necessary to enable resurfacing work and will be carried out by Cheshire West and Chester Council. MAKE A CHANGE, BECOME A LOCAL COUNCILLOR! Cuddington Parish Council is calling on residents, passionate about their community to stand in the local elections in 2019. Notice of Election’s will be listed on 15th March. Delivery of nominations – No later than 4pm Wednesday 3rd April 2019. The Count will be on Friday 3rd May. New Council will commence Tuesday 7th May. 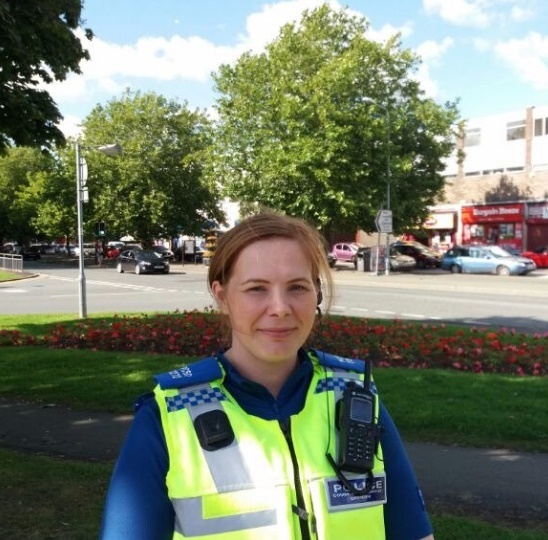 Our local PCSO, Nichola Devey, will be available at Sandiway Library 5.00pm to 6.00pm on Tuesday 9th April. Note that any replacement buses stop and pick-up at Norley Road shopping parade, not at the station car park. Please check before you travel, alterations can happen at short notice: www.northernrail.co.uk, or 0800 200 6060. PARKING ON WEAVERHAM ROAD: Reports have been received of problem parking during Church Services. Nichola Devey, our local PCSO, is going to monitor the situation. She will then advise and deter and also speak to the Church authorities. SPEEDING: Complaints have been received of speeding on Blake Lane, Ash Road and Moss Lane. The PCSO will be monitoring these areas as well as Norley Road and Weaverham Road. HOMEWATCH COORDINATORS: The PCSO is going to arrange a meeting with Homewatch Coordinators. The date and venue will be publicised in due course. Anyone interested in forming a new HomeWatch area will be welcome. SCAMS: A noticeable increase recently in the number of scams. PCSO is pro-active on Facebook in alerting people to these. Recent ones have been a letter from an international postcode lottery, phone calls purporting to be from BT and phone calls claiming to be from a Local Authority regarding Council Tax. 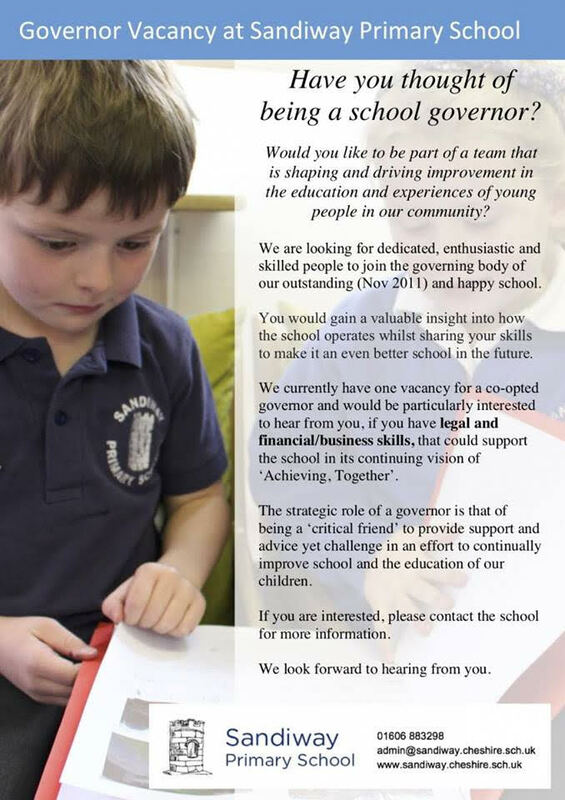 Sandiway Primary School currently have a vacancy on the governing body for a co-opted governor. Please contact the school for more information if you are interested. The "Redwalls Playgroup" meet each Tuesday 9:30am-10:45am, during termtime, at Redwalls care home on Weaverham Road where the children interact with the residents for their mutual benefit. Many of the group then move on to the library for Rhyme Time at 11am. Samantha-Jo Doyle has now been running this little group for a few weeks, and would like to invite more children to join in. They have a craft and colouring activity, songs and music, a story and lots of toys. They particularly would like more pre-schoolers to interact with residents and encourage them to get involved with games. Song time has been the most interactive part of their sessions so far, as the residents are remembering nursery rhymes and joining in, which has been really lovely. They are also playing easy games such as picture bingo, snap, pairs etc for the children and residents to play together. Press Here for contact information on FaceBook. Babies and younger children are also most welcome - they have had a few residents enjoying holding a baby for the first time in a long time! Representatives of the self management company composed of potential allotment holders set up to manage the allotments after handover attended Cuddington Parish Council on 18th February. The handover date, originally early 2017, is continually being put back and, worse still, no one locally at Taylor Wimpey is taking responsibility. The Parish Council agreed to write to Taylor Wimpey at national level - this has been done and the Parish Council awaits a reply. Oakmere Cricket Club is effectively the Cuddington and Sandiway local club and provides cricket for many of the village’s youngsters (they are off the A49 just beyond the Shell Garage). 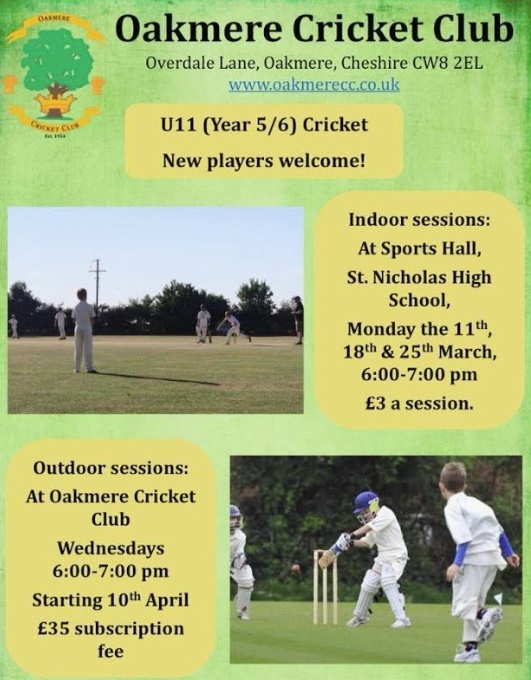 They are a few players short for their Under 11s this year, and would be pleased to see any potential new cricketers - as you can see on the poster, they have practice sessions in March and April. See their Facebook page if you would like further details or wish to contact them - you will also find contact details under "Sports Clubs" in the Directory on this website. They also run teams for U13s, 15s, Girls, Women and of course Men. New players always very welcome. Would you like a stall at our Gala Day on 8 June? Our Gala offers a fundraising opportunity for charities and ‘not for profit’ groups. There is always an exciting range of stalls offering games, ‘pocket money’ toys and activities to entertain the children and crafts. Are you interested in becoming a councillor for the Borough or the Parish Council? Our local PCSO, Nichola Devey, will be available at Sandiway Library 5.00pm to 6.00pm on Friday 8th March. You might be interested to hear that this website is growing fast in readership. We received an average of over 4,500 visits per month from users during December, January and February, which admittedly was a peak time thanks to the Neighbourhood Plan referendum, panto season and events around Christmas. This represents a year-on-year growth of over 50% in number of visits. We received visits from around 3,000 'unique visitors' during these peak months, which equates to approximately 50% of the population in the Parish. Let's keep the momentum up and let all your neighbours in on our secret! Northwich Library will be closed for two weeks from 25 February to 9 March. This is to allow for the installation of self-service technology. In addition some reconfiguration of the space, shelving replacement, re-carpeting and minor re-decoration will be undertaken. During the closed time issue dates will be extended and customers will be able to use neighbouring libraries. The opening hours will be extended at Sandiway Library so that they are open six days a week during those two weeks – they will open 9am-5pm on Wednesday 6 March (closed 1-2pm). 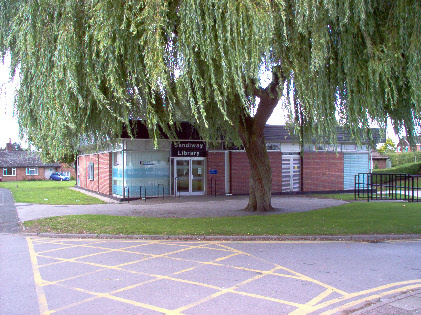 Opening hours of all libraries are available online and if required items can be renewed online or by phone 24 hours a day: www.cheshirewestandchester.gov.uk/libraries, or 0300-123-7739. Northwich Library will re-open on 11th March and staff will be on hand to help customers with the new technology. Cheshire West and Chester Libraries have launched a free loanable Micro:Bits scheme, now available in every library. Children and adults alike can borrow a ready-made Micro:Bit kit from their local library, which includes everything needed to learn the very basics of coding and programming. To get you started, there are also instructions included for coding some easy themed games, such as making your own “fit-bit” step counter and coding a stop-watch. All Micro:Bit kits are available to borrow free of charge; ask in your local library for more information. A number of residents turned up to the Public Forum of the February Parish Council meeting to voice their objections to a planning application to build a new care home next to 613 Chester Road (opposite Sandington Drive). It was pointed out that an access onto the A556 was denied for the Forest Edge development because of traffic issues. A development to accommodate 66 people, 40 staff, plus services and visitors, with no other means of access other than the A556 should therefore also be denied. The development would go against 8 statements in the Neighbourhood Plan. Development on the south side of the A556 has been prevented on previous occasions and it was feared that if this went ahead it would set a precedent. It was also considered doubtful whether the site could have enough parking space. The Parish Council recommended refusal on the grounds of insufficient parking, traffic concerns on the A556 and lack of need. Councillor Fifield will ask for it to be called in. Sunday 17 and Sunday 24 March. Buses will replace trains between Chester and Stockport all day. To Chester, they will depart at 1101 and every 2 hours until 2301. To Stockport, they will depart at 0949, 1149, 1349, 1554, 1757, 1954 and 2149. We have had confirmation that Sandiway Library will need to close for 6 weeks to have some structural building repair work done, but "following further discussion with contractors the work scheduled to take place at Sandiway Library in March has been postponed until May". Loans will be extended and won’t be due back while the Library is closed. You can check opening hours and access library services at any time online or by phone: www.cheshirewestandchester.gov.uk/libraries or 0300-123-7739. There is a new Arts exhibition at the Ark. All works by local people who meet alternate Wednesday afternoons at 'Arts in the Ark'. Residents are reminded by Cheshire West and Chester Council that now is the time to prune before the nesting season March- August. The Parish Council particularly requests that residents ensure that their hedges/ trees do not obstruct the pavement/ roadway. 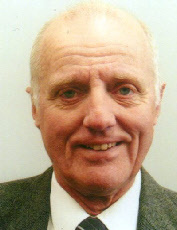 Councillor John Faulkner, Chairman of Cuddington Parish Council, announced at the January meeting that he is not to seek re-election to the Council in May. He joined the Parish Council in May 2015 having recently moved to the area. Initially he was Chairman of the Village Plan Implementation Group and spent two years tackling the recommendations. During this time improvements were made in the environment, traffic & transport and facilities & community particularly a much more comprehensive village website. Almost all the actions that were not completed or were ongoing were taken on by Cuddington Parish Council and John was able to lead that process. Recent improvements have been the gateway signs, flower boxes and the re-tarmacing of the Village Hall car park. John has also steered through a document entitled "Here is what we do" for Cuddington Parish Council ..........Press here to view document. Anyone who is interested in becoming a councillor is invited to contact the council should they wish. Village Hall Meeting Room has vacancies! The Village Hall management team are looking for more bookings for the Meeting Room within the Village Hall. The room is light and airy and can seat up to 16 people with wifi and presentation facilities (upon request) within the room and kitchen facilities close by. Hiring costs are very competitive and the facility is well suited for business meetings, voluntary groups, craft sessions and similar. Press Here for a more detailed description of the facilities available. To book the room please call 01606 888366 or 01606 888931. 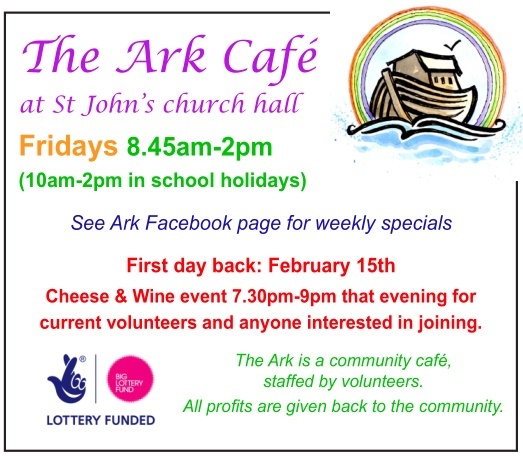 Also, on that same date in the evening between 7.30-9.00pm , all current and prospective volunteers are invited to enjoy refreshments in the Ark Cafe. This is an opportunity to meet fellow volunteers & find out more about what the Ark does for the village and what is involved by volunteering. The Ark team met in mid January & agreed to support all the applications they've received for a contribution from last year's profits. They have £2,500 to give to local good causes - an increase of £500 on last year's profits! 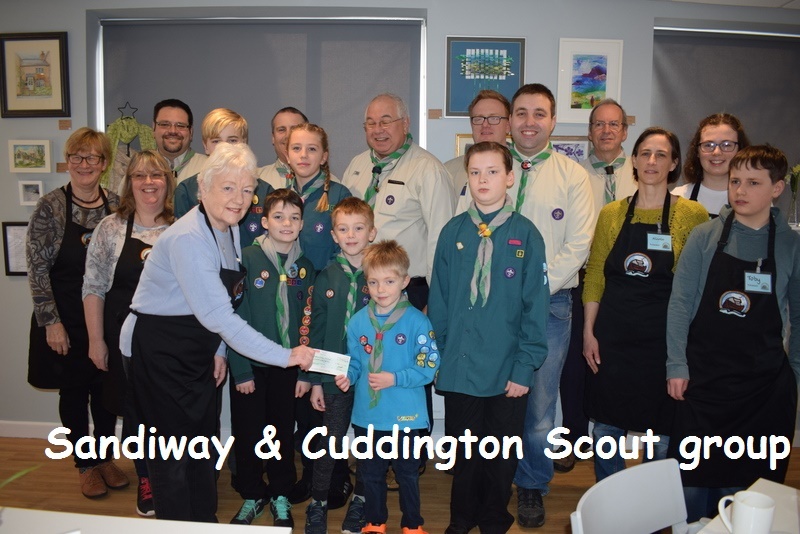 Sandiway & Cuddington Scout group £750 for camping equipment. 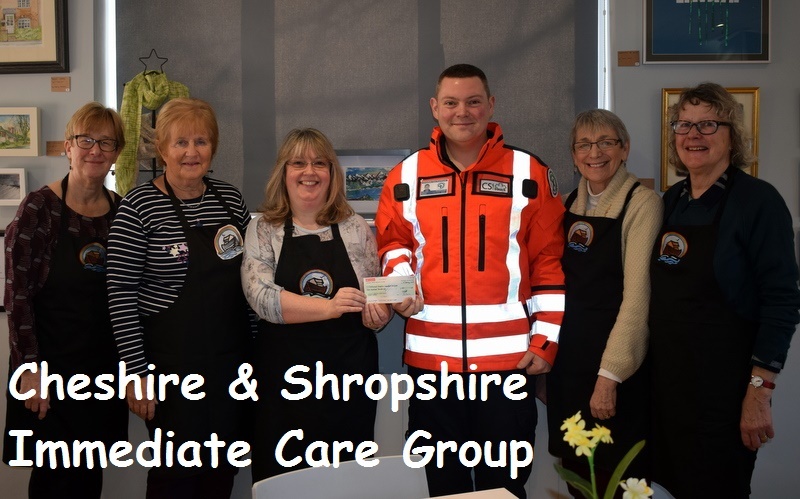 Cheshire & Shropshire Immediate Care Group £ 500 for equipment. They would really like the opportunity to talk to you about your experience of managing a long term condition and what would work best for you. To do this, they are holding a number of community conversations in Cheshire where you can come to share your experiences and ideas and influence how support could be provided in the future. The support team will be coming to our Village Hall on Norley Road at 11am on Wednesday 20th February. If you, or any of your contacts, would like to attend, please call Chris Davenport on 01244-400222 to pre-register - please note that numbers are limited and so PRE-REGISTRATION IS ESSENTIAL. The council had made enquiries before the January Parish Council meeting to find out how it would go about introducing a time limit on the Mere Lane car park - this was in response to a comment by a resident that there were several vehicles parked there for periods in excess of a week. The process would involve completing two surveys of vehicles using the car park and the total cost of these would be approximately £600 which the Parish Council would have to pay. Councillors decided that the situation was not serious enough at present to warrant spending that much money. Our local PCSO, Nichola Devey, will be available at Sandiway Library 5.00pm to 6.00pm on Tuesday 5th February. Rail News for February: RAIL STRIKES HAVE BEEN CALLED OFF! Strikes are planned for all Saturdays until 9 February with no trains at Cuddington station. On Saturday February 9nd, replacement buses are leaving at 0745, 1120, 1520 and 1950 to Chester, 0650, 1025, 1425 and 1825 to Stockport - you will need to check weekly thereafter (see Bus Schedule ). Note that any replacement buses stop and pick-up at Norley Road shopping parade, not at the station car park. Update: the Saturday rail strikes have been called off! However, Northern do not have time to restore services for Saturday 9 February, so the replacement buses will run as usual on this day. Normal Saturday service should be resumed on 16th Feb.
'Snow White' is here now ! Remember the Wicked Queen with her henchman, Boris, asking for a ‘White Whine’ in the Miners’ Arms and Henry, the 8th dwarf, who was sacked for stealing diamonds? If you do or even if you don’t, they’re back again to entertain you NOW! 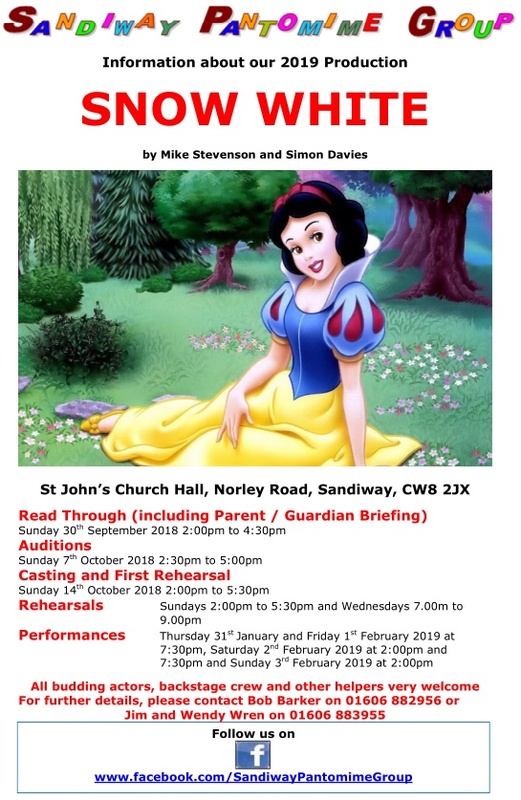 Sandiway Pantomime Group proudly present their 2019 production of Snow White, a pantomime originally written and now updated by Mike Stevenson and Simon Davies. The Performances will take place on Thursday 31st January and Friday 1st February 2019 at 7:30pm, Saturday 2nd February 2019 at 2:00pm and 7:30pm and Sunday 3rd February 2019 at 2:00pm in St John's Church Hall, Norley Road, Sandiway, CW8 2JX. Please note: This year's production will be supporting Lewy Body Society, Macmillan Cancer Support and Pancreatic Cancer Research Fund. Of the 4760 people eligible to vote 1226 actually voted (25.8%) - a very good turnout. The votes cast were as follows 1174 - Yes and 52 – No. Success! The ayes have it! Thanks all round for your support." 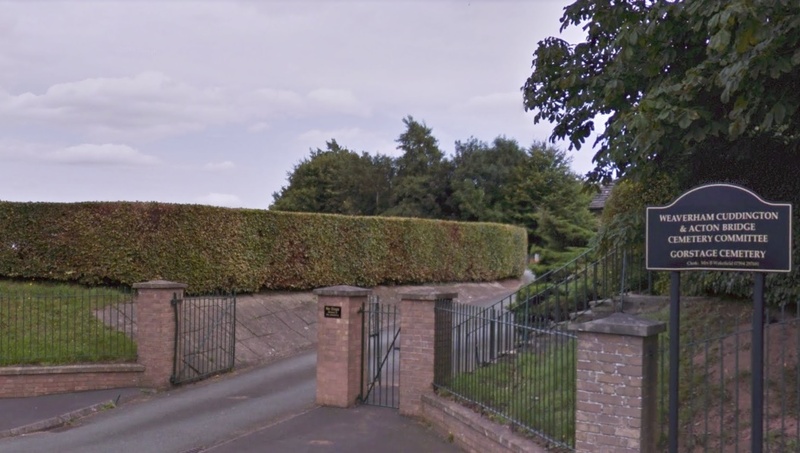 A number of local residents in Sandiway have received a letter from a developer giving advanced notice about a planning application for proposed 66 bed three-storey care home, complete with car parking facilities, on the paddock next to 613 Chester Road, on the south side of the A556 (opposite Sandington Drive entrance). The planning application has now been received by CWaC (press here to read more). Please note that the Neighbourhood Plan is most important in guiding the Council in such planning applications. 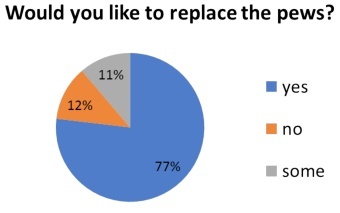 Neighbourhood Plan Referendum is here! 'Snow White' is here this month ! Remember the Wicked Queen with her henchman, Boris, asking for a ‘White Whine’ in the Miners’ Arms and Henry, the 8th dwarf, who was sacked for stealing diamonds? If you do or even if you don’t, they’re back again to entertain you later this month! Due to various circumstances, this series of sessions have been cancelled - sorry for your disppointment! If you, or anyone you know, would be willing to take on the position of leading these future singing sessions could you please contact Margaret Card on 01606 883128 ? Thank you. Please find attached notice and plan for a temporary road closure on Weaverham Road, between Sandiway Primary School and Hodge Lane, to commence on 7th January 2019. It is anticipated that the work will last for approximately five days. This is necessary to enable Carriageway Patching works and will be carried out by Cheshire West and Chester Council. Our local PCSO, Nichola Devey, will be available at Sandiway Library 5.00pm to 6.00pm on Friday 4th January. Strikes are planned for all Saturdays until at least 26 January with no trains at Cuddington station. On Saturday January 26th, replacement buses are now slightly more frequent than in December, leaving at 0745, 1120, 1520 and 1950 to Chester, 0650, 1025, 1425 and 1825 to Stockport - you will need to check weekly thereafter (see Bus Schedule ). Note that any replacement buses stop and pick-up at Norley Road shopping parade, not at the station car park. Many people will know the Mid Cheshire Line has had no train service on Saturdays since 25 August 2018 despite it being the busiest day for leisure travel. Previously on Strike Saturdays the normal 36 trains were replaced by 18 trains just running between Chester and Altrincham, with connecting buses to Stockport. But more recently this has been reduced to just 3 buses each way between Chester and Stockport, each taking an hour longer than the train. The RMT union have just announced that these strikes will continue until at least the end of January (see new announcement). On Saturday December 29th, replacement buses at 0745, 1120 & 1950 to Chester, 0650, 1025 & 1825 to Stockport - you will need to check weekly thereafter (see Bus Schedule ). Note that any replacement buses stop and pick-up at Norley Road shopping parade, not at the station car park. Sunday 9 December: New timetable began. Times at Cuddington are mostly unchanged, although a few are a minute or two later. The only earlier departure is the 1148 (Monday to Friday) to Chester (which was 1150). The 2240 from Manchester will call additionally at Navigation Road at 2312. Monday 24 December: 2201 & 2246 from Chester; 2140, 2240 & 2341 from Manchester will not run. Councillor Ken Nixon from Cuddington Parish Council has recently been presented with an award in recognition of his long service to the parish council and the community of Cuddington and Sandiway. The photograph adjacent shows Ken with his certificate shortly before fellow councillors and parish clerk Julie, joined him for a celebration of Taittinger and mince pies. Earlier in December, the Community Methodist Church at Sandiway hosted 40 year-2 pupils from Cuddington Primary School to explore the meaning of Christmas through the “Hope Journey/Meet the Characters”. 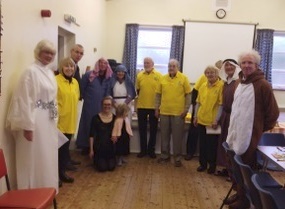 This included workshops on the personal stories of ‘Mary and Joseph’, “The Innkeeper and donkey”, “Shepherd”, “Angel”, and "Wisewoman” together with a Christmas Craft Session. 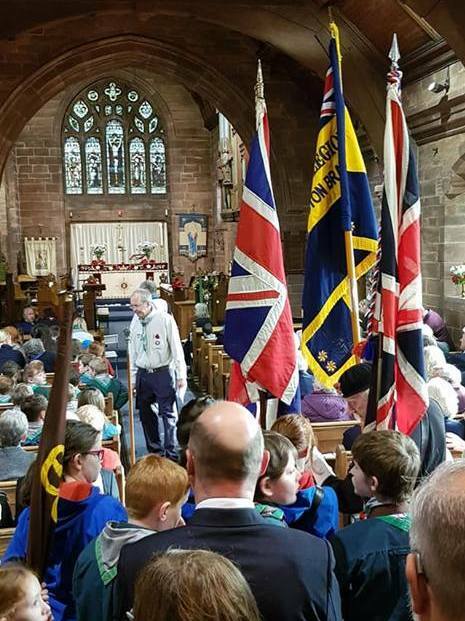 At the end of November, Cuddington Methodist Church closed their building for worship and joined Sandiway Methodist Church to form a new church, "The Community Methodist Church at Sandiway”, at Sandiway’s existing church building. Bus services to Chester and Northwich operate every hour between Monday and Saturday, picking up on Ash Road, Mere Lane, School Lane and Chester Road in Sandiway. Service ‘82’ is now operated by D&G Bus, so if you are going to work, college, shopping or just for a day out, jump aboard the big red bus! There has been speculation recently that Taylor Wimpey were proposing to build 350 homes on greenbelt land off the A49 between Cuddington and Weaverham. Cheshire West and Chester Council have confirmed that this is not the case. What has happened is that Taylor Wimpey wanted to include the site as a possible development site during the consultation process for the Local Plan Part 1. Cheshire West considered the proposal and decided that the greenbelt land was not needed to deliver its overall objectives up to 2030 in this area. The Local Plan Part 2, which includes the allocation of development sites, were considered by Cheshire West in 2018. 'Snow White' is coming ! Remember the Wicked Queen with her henchman, Boris, asking for a ‘White Whine’ in the Miners’ Arms and Henry, the 8th dwarf, who was sacked for stealing diamonds? If you do or even if you don’t, they’re back again to entertain you in 2019! 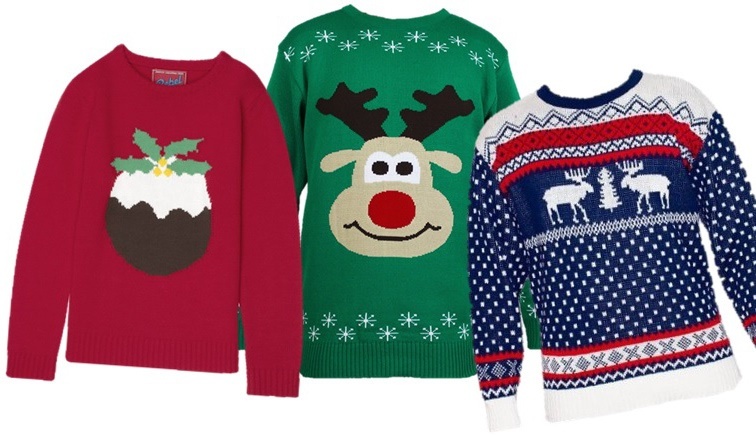 The Ark will be supporting the Save the Children Christmas Jumper Day on December 14th. Come along in your Christmas jumper & receive a free raffle ticket for a two course lunch for two at the Ark in March 2019. All profits from the day will be given to the Save the Children Fund. 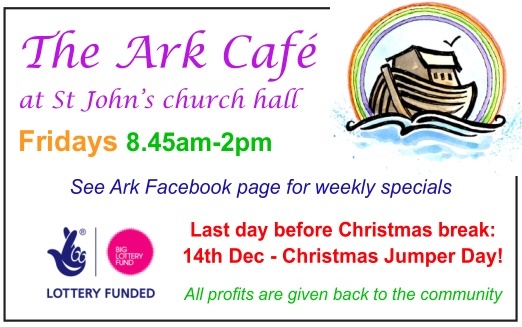 The Ark will be closed on Friday 21st December for decorating & panto use, reopening on February 15th. The village now has 3 very smart planters to welcome people as they enter our village. They have ‘Cuddington Parish Council’ written on them and are currently planted with pansies which should soon give a stunning display. Look out for them on the A49 coming from Weaverham, on Norley Road at the junction with Weaverham Road and at Ivy Drive on Weaverham Road. They were purchased with money from Village Plan funding. 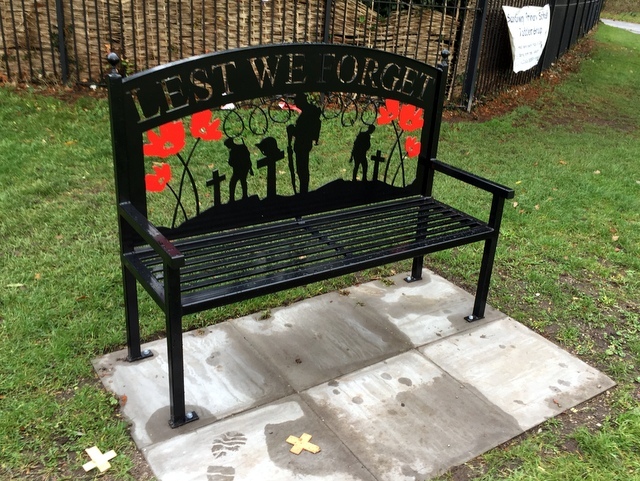 A WW1 commemorative bench has been installed on the grass triangle at the junction of Weaverham Road and Norley Road in the village. The Chairman and members of the Sandiway and Cuddington Branch of the Royal British Legion offer a sincere thank you to all who donated to the WW1 bench, calling it ‘a true and fitting mark of respect and remembrance for one hundred years of the armistice’. 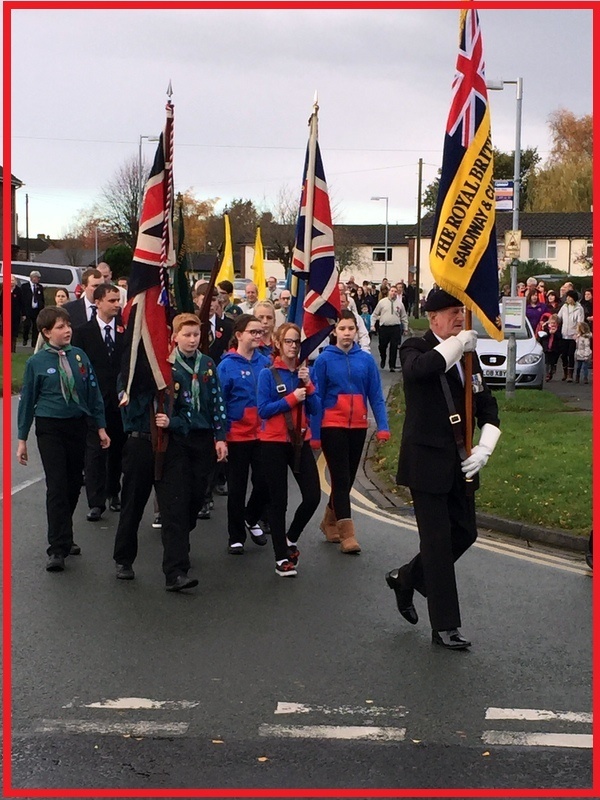 They would also like to thank all who contributed to the Poppy Appeal and those who attended the parade or our remembrance service at St John's on November 11th. If your new year's resolution is to learn a foreign language then you need look no further than Cuddington and Sandiway Village Hall this January. Language graduate Deborah Wise is running a 12 week long beginners' Spanish and beginners' Italian course on Wednesday mornings. The Spanish class will start at 9.30 and the Italian at 11.15 and each will last 90 minutes. The cost of each 12 week course is £150 plus the cost of the CD and book set (about £20). Our local PCSO, Nichola Devey, will be available at Sandiway Library 5.00pm to 6.00pm on Friday 14th December. Ruth Elliott-Smith, a Cuddington resident and former TV and radio journalist, has published her debut novel. 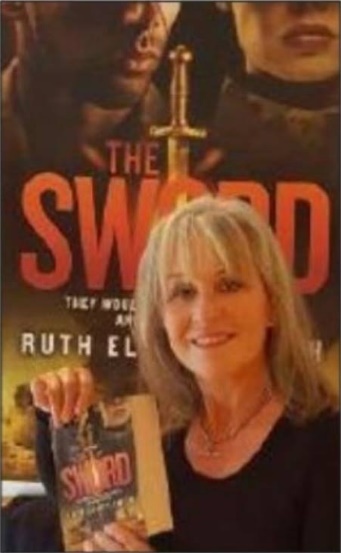 An adventure-thriller, The Sword - Blood demands Blood, is set in 1968 when she worked as a news reporter in Jerusalem just after the Six Day War. The Sword is a compelling novel with multiple red herrings and a twist on the last page. A feisty British heroine and an Arab war hero are trapped in a tangle of deceit and treachery, manipulated by a deranged extremist intent on toppling the region's fragile stability. Their fight brings carnage, terror and despair but ignites a passionate affair in their frantic quest for survival and revenge. 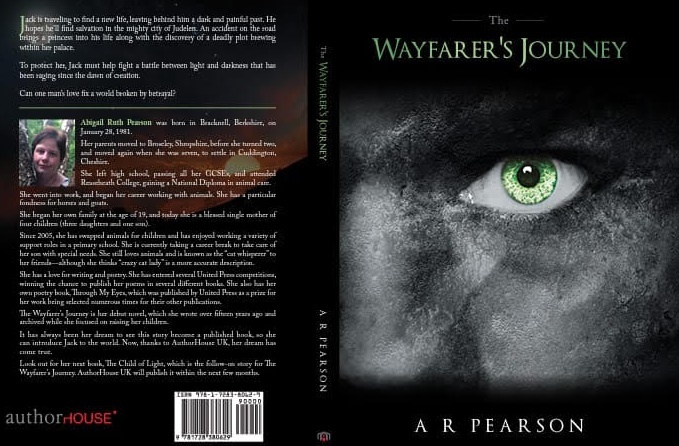 Ruth admits: "My experiences while I was there helped me weave my plot and create the characters and conflicts in the book." She was caught in crossfire on the Suez Canal, minefields on the Golan Heights and a mortar attack on the Lebanese border in her hunt for news and was investigated by Mossad, Israel's Secret Service, suspected of being a spy. The Sword - Blood Demands Blood is available on Amazon Kindle as an e-book at £2.99 and in paperback at £6.95. 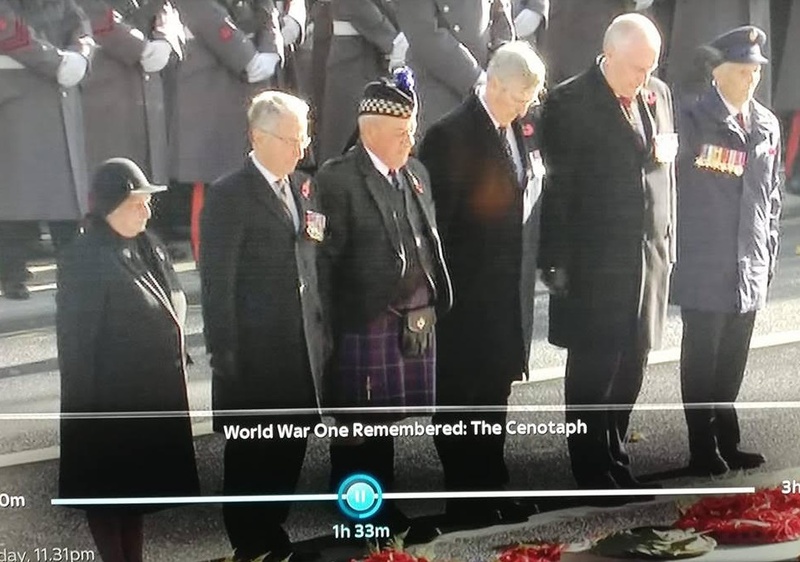 Our villager, Pat Chrimes, is the lady on the left below presenting the poppy wreath for the Royal British Legion Women's section at the London Cenotaph and on TV. Pat has worked hard within the Legion for many years and we should all be very proud of her. Well done Pat! Below is the cover for Abi's upcoming book! 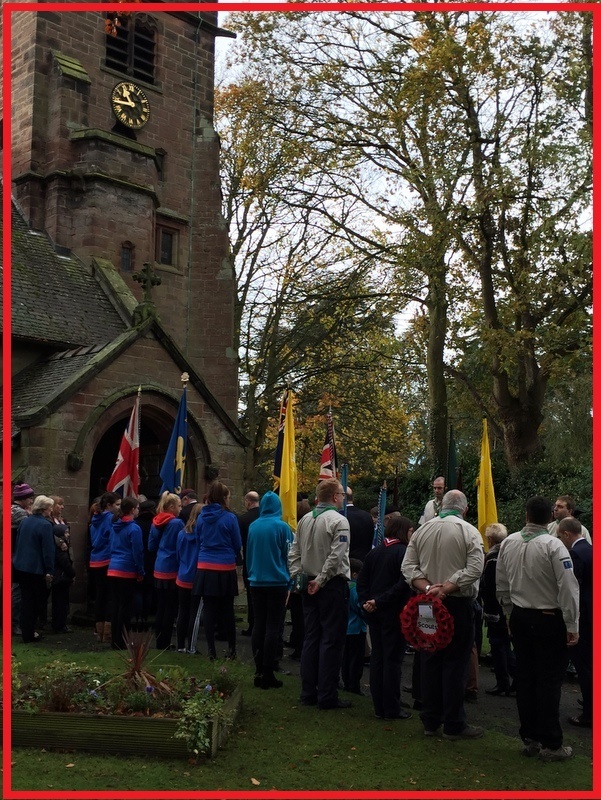 The village’s Centenary Remembrance Service took place on Sunday November 11th at 11am. The service was preceded by a Parade from Sandiway shops to the church. The laying of wreaths and a period of Silence took place from 10.50am. Please note that this car park will be closed for repair and resurfacing for 3 weeks commencing on 5th November 2018. We apologize for the inconvenience, but would ask you to arranged to park elsewhere. We suggest you use Weaverham Road car park, but please avoid parking on the pavement on Norley Road. Update: Work is now completed and the car park has reopened. We are delighted to tell you that the external examiner has recommended our Neighbourhood Plan for Referendum. His report is now available by pressing here where you can also access the Plan, feedback from the Regulation 15 consultation and read all the current correspondence. Prior to the Referendum, the Final Version of the Plan will be published on this website and copies will be available to view in Sandiway Library and in Delamere Park Clubhouse. The proposed date for the Referendum is Thursday 24th January 2019 and this will be organised by Cheshire West and Chester in conjunction with Democratic Services. You will be kept informed. REMEMBER THIS IS YOUR PLAN!! Money for a zebra crossing on Norley Road near the shops has been found so this project can proceed. This is from the Section 106 money the parish get as a result of the Eden Grange development. The council rejected the idea of a speed indication sign as being too costly. 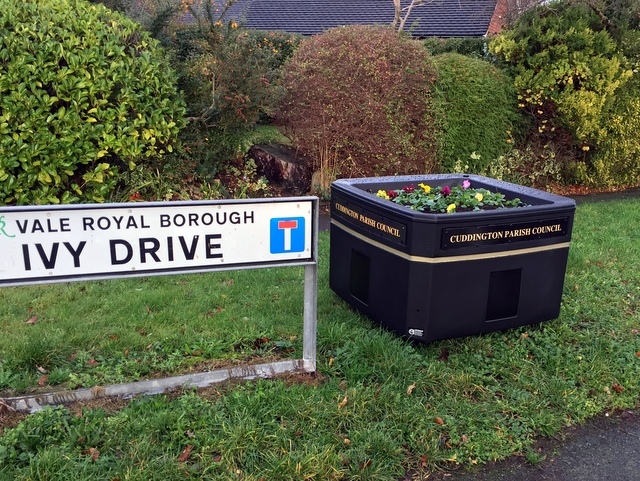 Three flower tubs with the parish council name on will be positioned at the main entrances to the village, the A49 at Millington Lane and on the A556 at either end of the village. A donation of £350 has been made for a bench in the village commemorating Pete Smith, our former Parish Council chairman and secretary, who passed away earlier this year. The council has decided that it will go near the end of the big slide on Norley Road playing field. It will therefore be within sight of the Tennis Club for which Pete worked tirelessly over many years. Residents who live near Delamere Manor attended the public forum to explain the impact the change of use was having on their lives. They were upset that activities there were carrying on without planning permission as the temporary licence which was granted has run out. Problems include noise caused by an Orangery with no soundproofing being used without planning permission, revelry carrying on outside permitted hours, traffic movements and people wandering about the area after closing times. They also stated that the establishment were not able to control their clients’ behaviour and there had been an increase in break-ins at their property. The council recommended refusal of planning permission on the grounds of loss of residents' amenity, noise disturbance and development in a Green Belt. Note: Approval had previously been given for 3 new houses with the original dwelling to remain. The parish council recommended refusal of the new application on the grounds that this goes against the needs of the village as stated in the Neighbourhood Plan which demonstrates a need for 2-3 bedroomed houses only. A development of 5 dwellings would come under the requirement to provide affordable homes on the site and these houses would not meet that requirement. 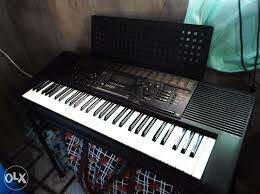 Keyboard Player Required – Sandiway Pantomime Group require a keyboard player to complete the Pantomime Band. There are regular rehearsals and performances are scheduled for late January, early February 2019. Please contact Bob Barker on 01606 882956 if you'd like to help and want further details or you know someone who'd fit the bill. Update: The position has now been filled - one of the cast will play keyboards ... as well as act ! Community action does work! The Cartledge Moss Litter pick swung into action this week for the second of its outings this year. It really does show what a difference we can make, as the first litter pick in 2015 collected 42 bags of rubbish (and an office chair and two car doors!!) whilst today's collected 4 bags! It would obviously help if people didn't drop it in the first place! 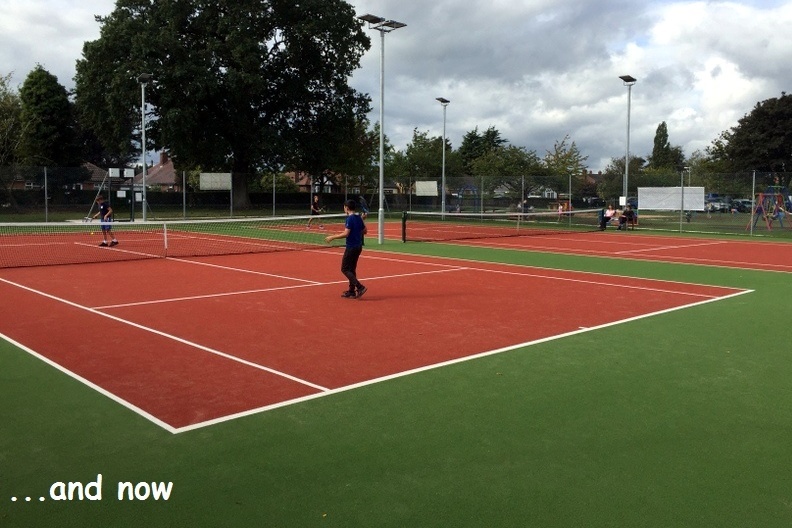 CUDDINGTON and Sandiway Tennis Club, established in 1928, has recently undertaken a major investment programme to update and improve its facilities for both club members and the public. 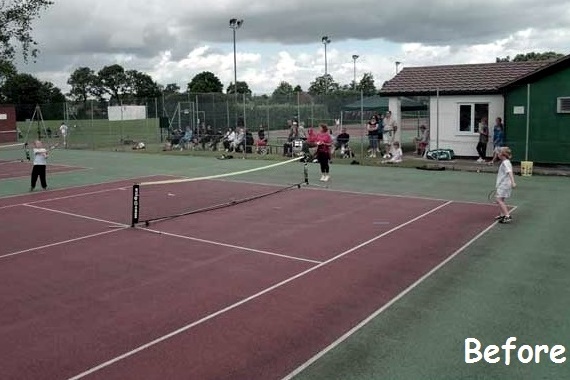 With the help of a number of sponsors and benefactors, they have made investments during 2018 in excess of £50,000 in order to modernise their two oldest courts. In addition to the support received from their benefactors, the Club would also like to thank the local Parish Council and Playing Fields Association for their invaluable help in making possible the investments in their floodlighting project for courts 1 & 2 (nearest Norley Road). The tennis club now has first class playing facilities and the newly upgraded courts are available for public hire on a pay-and-play basis in line with the Club’s intention to be seen as an integral part of the local community. The new courts can be hired for as little as £6 for 30 minutes (press here for more detail). In September, St John’s asked for views on the possibility of making a number of changes to the church building, aimed at making it more accessible, more welcoming, and more flexible for different uses. 99% of people wanted a permanent ramp as soon as possible. 88% wanted kitchen facilities in church, and over 90% were in favour of moving the font to facilitate this, and also to bring the font back into regular use. Over 90% liked the idea of a glass door, and 99% agreed that the toilet facilities urgently needed improving. On the basis of this the church council voted in favour of taking the project forward. A team of representatives will work with the architect to provide a single proposal which will go out for full consultation with the Diocese, the parish and all other interested parties. It is hoped that this will be ready by the end of November. Once the plan is ready, a questionnaire will be available online (paper copies will be available at church services & events). Sandiway Library would like your help! 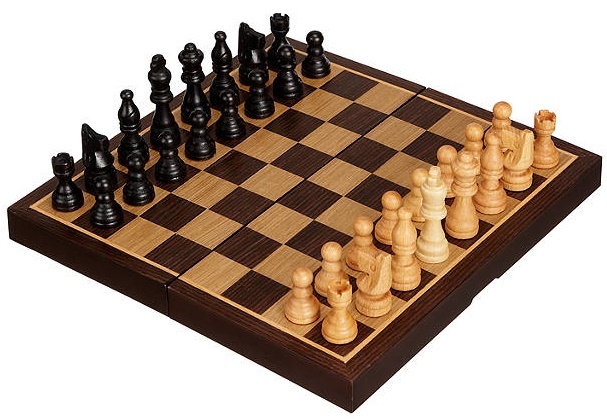 Do you play chess? Can you spare a couple of hours a month on a regular basis? If you have answered yes to both of these questions, would you like to help us set up and run a Chess Club within our library? We have the energy and enthusiasm but lack the requisite chess skills – we would love to meet you if you think you can help. Please call into the library, or ring on 01606-271767, to discuss if you are interested. Danebridge patients: There will be a flu clinic at the Sandiway surgery from 2pm-4pm on Monday 22nd October. The vaccine available will be for 65 and over’s only. They must also be already registered with Danebridge Medical Centre at Sandiway surgery. Pre-booking is essential - please book online or call their dedicated flu line 01606-544599 during 10am-4pm. Clinics are also being held at Danebridge surgery in Northwich from 8am-12pm on the following Saturdays: 20th October and 10th November - pre-booking is again essential. Alternatively, Rowlands Pharmacy in Sandiway are offering flu jabs on a 'walk-in' basis - Press Here for more information. A further improvement to the newly-refurbished play area is expected during October. A self closing gate will be installed at the entrance to the play area from Norley Road to reduce the risk of children being able to run out onto the busy road there. Quite separately, the Village Hall car park will be closed for 3 weeks during October for re-surfacing. Update: The re-surfacing work will not now be done until November. It will still be necessary to close the car park for 3 weeks but details to follow. St John’s Sandiway is looking for someone to help grow its work with families. They want someone who can help lead Junior Church and Messy Church sessions, and support family involvement with church. The role is 20 hours a week, for 12 months, though they would like to be able to renew the contract after the first year. They would need someone available on 2 Sunday mornings each month: other hours to be agreed. St John’s is an active church that already has a strong offering for young people: a Junior Church, Messy Church, a Junior Choir, an improvised music group called JIMS, and a Youth Group. The church benefits from a dedicated team of volunteers, and the new person would be integral to the team. Application deadline extended to December 1st 2018. GREAT NEWS! Another bus operator has opted to run the 82 bus service from 29th October 2018 following Arriva's decision to quit. The operator is D&G Bus who already has a small depot in Wincham from where they operate other services, including service 89 from Northwich to Knutsford. D&G Bus have been in talks with Sir John Deanes’ College to discuss student travel. The Company have excellent fare deals for young people, and also accepts the Cheshire ‘Travelcard’. The income generated from students effectively underpins this service, and D&G Bus will introduce improvements to the service for students in the afternoons. Will terminate at Chester’s new Bus Interchange where passengers can seamlessly change buses for other destinations such as Cheshire Oaks, the Countess of Chester Hospital, Liverpool and North Wales. The Bus Interchange is staffed, and features toilets, a café, and changing places facilities. Return journeys also pick up at Foregate Street (near Boots/M&S etc) which will be welcomed by passengers. The current service only picks up at The Bars end of Foregate Street. The company plans to comprehensively promote the service and special fares deals should encourage use by young people. D&G Bus accepts Cheshire Travelcard. This is a ‘stored value’ card and can be obtained from the Council free of charge. D&G Bus offer 15% discount on a variety of fares for Travelcard users. However, please be aware that, because the company is Northwich based, the last two departures from Northwich will terminate at Sandiway and not run through to Chester. However, Chester can be accessed by train from Northwich, Greenbank and Cuddington in the evenings, and Arriva service 84 operates in the evenings between Tarvin and Chester. The long term future of this service will depend on its success, and will need to be embraced by local communities. 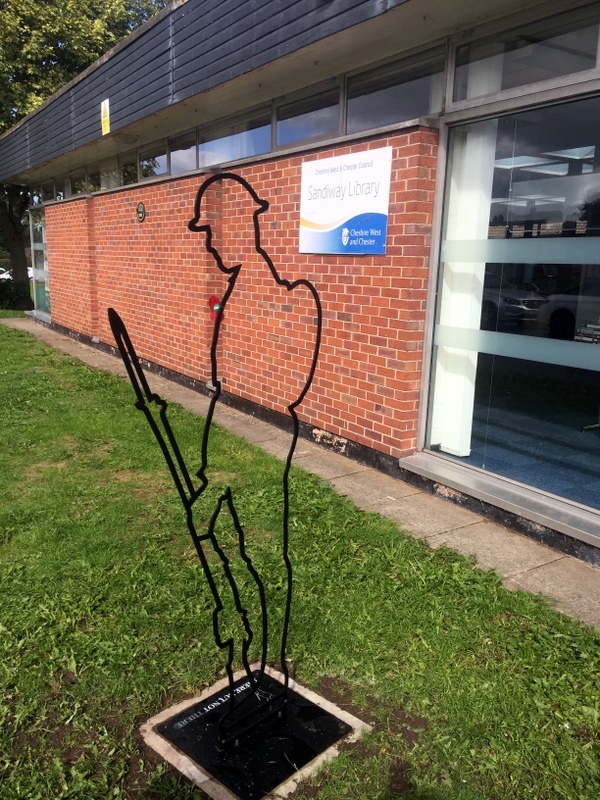 The ghostly silhouettes of First World War soldiers or ‘Tommies’, are appearing across the UK. 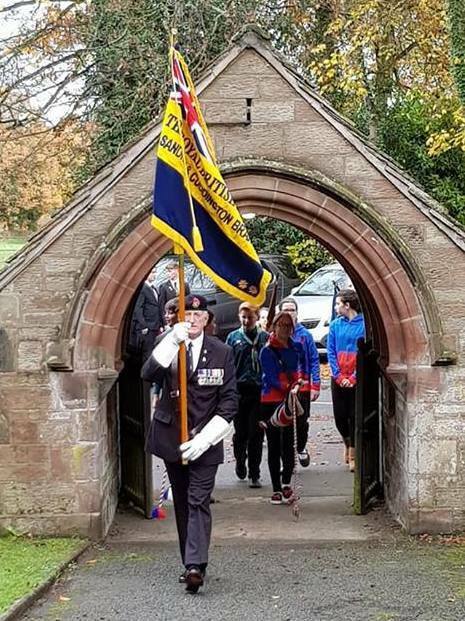 Cuddington Parish Council is joining the nation in remembering the Fallen and are helping support today’s veterans who are suffering with mental and physical illness. The Tommie’s are part of a nationwide campaign called ‘There But Not There’ by the charity Remembered, to mark the centenary of the end of the First World War and raise funds for today’s armed forces charities. To help heal those suffering from the hidden wounds of post-traumatic stress disorder and other legacies of recent combat operations, by raising funds for our beneficiary charities. Tommies have captured the public’s imagination, with installations appearing at the Tower of London, Giant’s Causeway in Northern Ireland, Big Pit National Coal Museum in Wales and Heart of Midlothian Football Club in Scotland to name just a few. To date, the campaign has already sold over £2m worth of Tommies raising significant funds for armed forces and mental health charities. Hopefully every person in the UK is able to see a 6ft Tommy in their local community and support this truly nationwide act of remembrance. Many elderly people suffer with circulatory problem, resulting in leg ulcers. Historically, the treatment was weekly dressings at the local surgery or, for those who were housebound, the district nurse would call. Because of reduced mobility, and embarrassment, many of these patients became socially isolated and lonely and, for some, the district nurse was the only person they would see week on week. Some years ago, a very forward thinking nurse decided that something had to be done to help these people. Her name is Ellie Lyndsay. She decided to change the point of treatment from the surgery to a rented social club/ community centre/ church hall where people would come and have their treatments, alongside having an afternoon of social activities, refreshments, and social interaction with others. So successful was this project, that the first leg club was formed – see www.legclub.org for more details of the initiative. There are now 17, mainly across the south of the country. However a local steering group of volunteers are in the process of setting up the first leg club in Cheshire. The clinical care will be given by the nursing staff, but the club will be run by the volunteers, with a structured committee, and will be financed through fund raising events and backed by the regional NHS Clinical Commissioning Group (Vale Royal CCG). The club will be open to all residents in the Northwich area, initially by referral by the District Nurse, but later on a drop-in basis with no appointment needed. The club will be based at The Lighthouse, St Mary’s Church, Church Lane in Weaverham, and will operate from 1:00pm until 4:00pm each Thursday starting on 6 September. 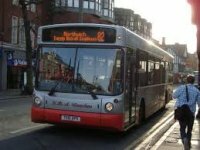 Local #82 bus service under threat! There have been rumours circulating about this service recently. Councillor John Faulkner, Chairman of Cuddington Parish Council, has spoken to the Arriva General Manager for this area and he confirmed that a decision was made on 6th August to end the service on 28th October. At this point Cheshire West and Chester Council were advised. Since then Cheshire West Councillor Charles Fifield has been in touch with CWAC Officers who say "Arriva have operated service 82 on a commercial basis since taking over from GHA Coaches who ceased trading in July 2016. This service is being withdrawn because its income fails to meet Arriva's financial target for the route. Officers of CWAC are currently engaged in dialogue with operators with a view to secure alternative transport provision for residents." Councillor Faulkner says "this is extremely bad news and I know that many people will be worried. Cheshire West are presently talking to operators and have undertaken to report back progress. In the meantime it is important that all those who rely on the service let Cheshire West know." UPDATE: Another bus operator (D&G Bus) has agreed to run service 82 from 29th October 2018 - see above for fuller story. 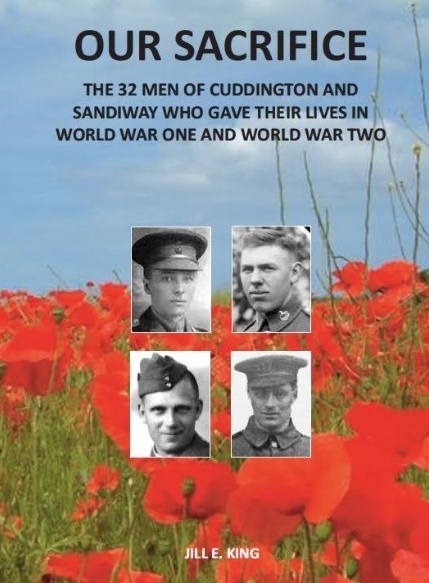 This latest, thoroughly researched book from local historian, Jill King, documents the lives of the 32 servicemen whose names are listed on the brass memorial plaque in St. John's Church, Sandiway. Jill felt that for too long the inscriptions had been merely a list of names and after all they and their kinsfolk endured, it hardly seemed enough. The 120+ A4 good quality paper pages include 217 illustrations in both black and white, and colour. These include original documents, newspaper cuttings and letters from the time as well as many old images of our village and treasured family photographs. It is learnt where those who fell lived and worked, about their families and the anguish their loss caused. There are poignant anecdotes from family and friends and details of each casualties service, when and how they came to lose their lives and where they are remembered. There is a moving story behind each and every one of these brave young men. Press Here to learn more about how to order this new book. Update: The book is now available from the author, Jill King, at the price of £15. Appointments are now available for Danebridge's Sandiway patients to book. 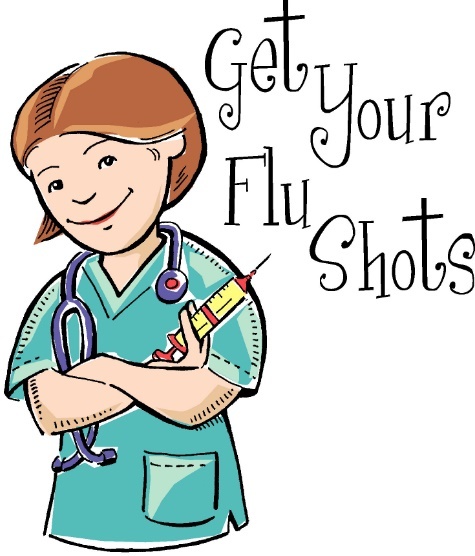 There will be two flu clinics at the Sandiway surgery from 2pm-4pm on Monday 17th September and Monday 22nd October. The vaccine available will be for 65 and over’s only. They must also be already registered with Danebridge Medical Centre at Sandiway surgery. Pre-booking is essential - please book online or call the dedicated flu line 01606-544599 10am-4pm from Wednesday 5th September (patients will be offered the next slot that is available and Danebridge will be booking consecutive appointments). Clinics are also being held at Danebridge surgery in Northwich from 8am-12pm on the following Saturdays: 22nd September, 20th October and 10th November - pre-booking is again essential. Children will need to attend a session at Danebridge surgery on a date yet to be set. 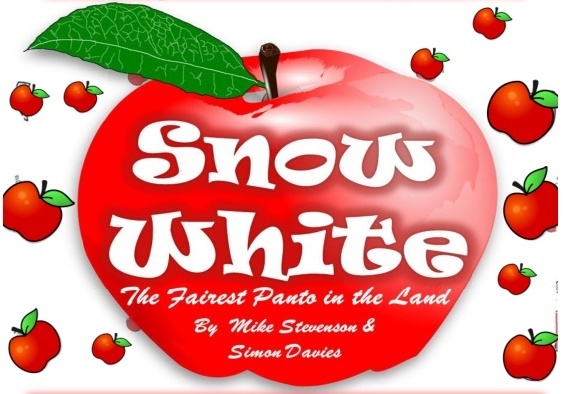 Sandiway Pantomime Group proudly present their 2019 production of Snow White, an updated pantomime by Mike Stevenson and Simon Davies. The Read Through (including Parent / Guardian Briefing) will take place on Sunday 30th September 2018 from 2:00pm to 4:00pm with Auditions being held on Sunday 7th October 2018 from 2:30pm to 5:00pm. Casting will take place on Sunday 14th October 2018, followed by the First Rehearsal. All budding actors, backstage crew and other helpers very welcome. Cheshire West and Chester Council have concluded the Regulation 15 public consultation and have appointed an external examiner. He has begun to review the plan and has already clarified some points with the Parish Council. You can see the Plan on this website by pressing here where you can also access the feedback from the Regulation 15 consultation and read all the current correspondence. You will be aware that the Village Plan led to the setting up of this team to create and develop further the village website. The team of five meets quarterly and has the aspiration to have a younger profile in order to ensure we engage with all ages in the community. We would welcome the names of young people, say aged 16 to early twenties, who have knowledge (although not necessarily expertise) in websites/ social media and willing to provide input to our work. Not onerous, meetings quarterly, and voluntary. We believe that it would be good experience and something which can be put on their cv. We are also keen to hear from any other local residents who can help in the development of the website - not necessarily with technical skills but more in the way of broadcast communication skills and identifying/ documenting our news items and village events. Change of use of land to extend existing Gorstage Cemetery. The beneficiary here, the Children & Adolescent Unit at Leighton Hospital, is somewhere that many people have used over the years so it would be lovely for our community to support them in raising funds for this worthy cause. Previously due to take place on 17 September, this meeting has now been rescheduled for the evening of 10 September. As usual, a Public Forum will take place during the meeting when residents can put questions to the council. This will be very soon into the meeting and residents should aim to arrive promptly at 7.15pm. 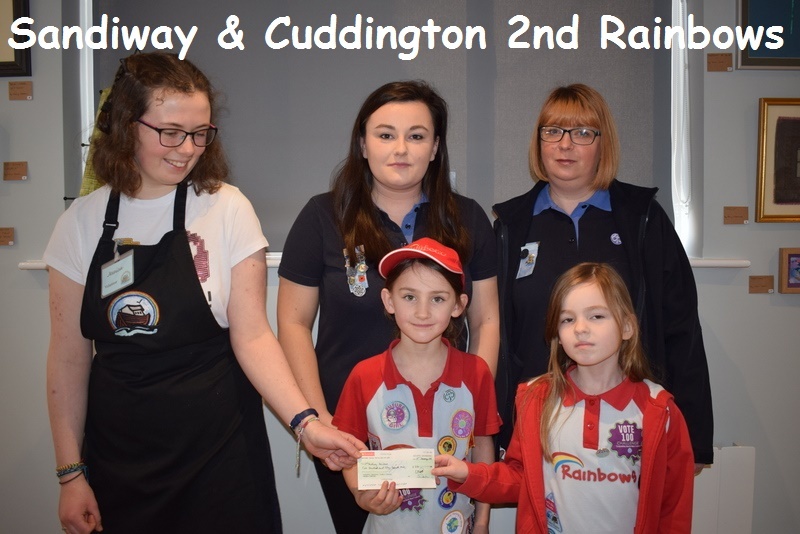 Cheshire and Warrington Carers Trust would like to thank the people of Cuddington and Sandiway for their generous donations at the Garden Party in Churchfields at the end of July. 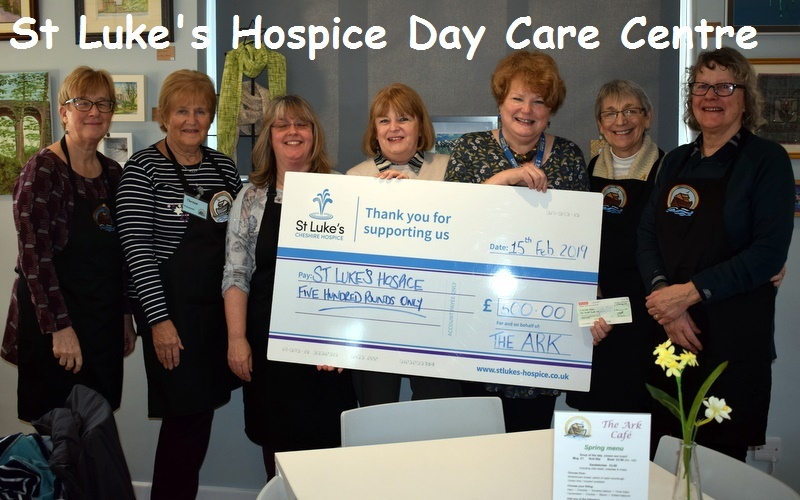 They raised the magnificent sum of £683, which will go a long way providing Carers with opportunities and support. Fleamoss Pit has been re-advertised for sale after long delays while attempting to satisfy the requirements of the first prospective buyer in relation to the access road. The estate agents have found a new buyer and it is hoped that it will be sold soon pending investigations by the buyer. The plot has outline planning permission for 3 single storey dwellings with the intention that they are only for occupation by the elderly or disabled. There have been complaints from local residents about noise from Blakemere and more specifically fireworks starting around 10.30pm. The advice from our Borough councillors was that anyone who objected to this to should make a complaint to CWAC as these would be taken into consideration when decisions were being made to grant further licences. An application by Blakemere Village is to go to the full planning committee. It is for the siting of 23 mobile homes and 14 mobile camping pods on their Touring Park. Council had no objections and felt it would be good for the economy of the village as a whole but were concerned that they might become permanent homes and will try to seek assurances that this cannot happen. Sunday 26 August: Trains starting from Manchester and Chester before 1645 will replaced by buses between Manchester and Stockport. Times of trains between Stockport and Chester are unaltered. As usual on Sundays, tickets from Cuddington can be used on the trams from Altrincham to Manchester. Councillor John Faulkner has been working for some months on a document for the public describing what the Parish Council does. It was approved by the Parish Council at the meeting held on 23rd July. You will see that it includes recommendations contained in the final Village Plan report. John stressed that it is a living document and can be changed as things change. Press here to view document. Pilates is suitable for almost everyone. Regular practice will help you improve your body's functional ability to perform everyday tasks, reduce aches and pains and help reduce stress levels. These classes are suitable for all levels, from beginners to advanced, as different modifications and progressions will be given so that everyone can work at their preferred level. Carol will teach you the basic Pilates' principles of correct alignment, breathing and core engagement to ensure that everyone masters these to get the most out of our classes. The focus in Pilates is on performing each exercise in a controlled manner, being precise and ensuring correct form throughout. 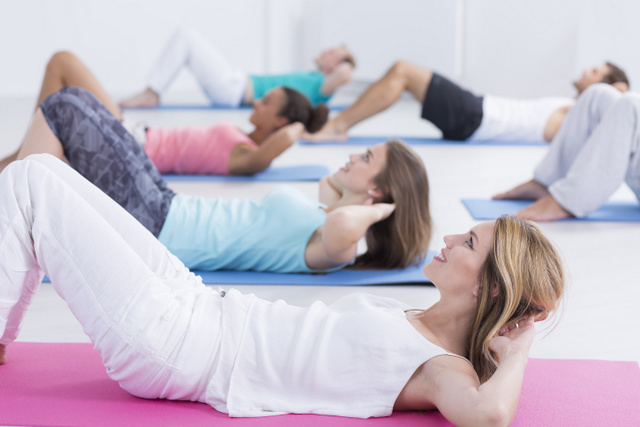 Pilates is not a competition, so everyone is encouraged to focus on their own practice and gradually improving their individual strength, range of movement and posture. All mats and small equipment such as blocks, bands, balls and circles are provided. Postnatal Mum & Baby classes are ideal for helping to strengthen and realign your body after childbirth and are a lovely way to meet other new parents. Booking essential for Mum & Baby Classes. Mum & Baby classes: Thursday & Friday in the Village Hall. John Faulkner, Chairman of Cuddington Parish Council, urges everyone when parking to give consideration to prams and wheelchairs. Please do not block accesses from/ to pavement/ road and always allow sufficient room on the pavement for prams and wheelchairs to pass without them having to go on the road. Mid Cheshire Community Rail Partnership have made us aware that Network Rail’s contractors (Murphy’s) will be carrying out some light de-vegetation work at the station from 6 – 9 August between 23:00 and 06:00. Also during this time, they will be carrying out topographical surveys at the station. 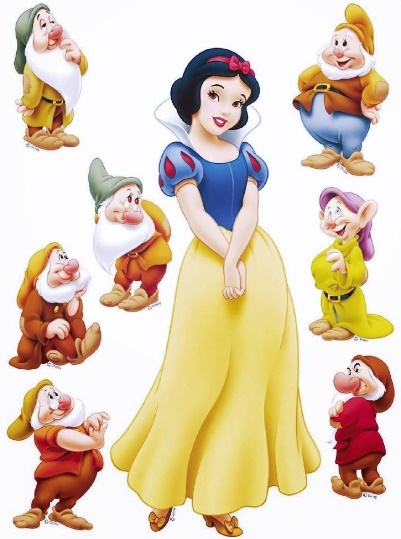 Sandiway Pantomime Group will be presenting "Snow White" for their 2019 production early next year. The Read Through and Auditions will take place in September 2018 and rehearsals start in October. These will be held on Sundays 2:00pm to 5:30pm and Wednesdays 7.00pm to 9.00pm with breaks for half term and Christmas holidays. Performances will take place on Thursday and Friday 31st January and 1st February 2019 at 7:30pm, Saturday 2nd February 2019 at 2:00pm and 7:30pm and Sunday 3rd February at 2:00pm – all in St John’s Church Hall, Norley Road, Sandiway, CW8 2JX. Have you ever wondered what would happen if the Brothers Grimm accused Hans Christian Andersen of stealing their tales and giving them a slight twist? The answer was made clear and the resulting battles were fully explored in Sandiway Pantomime Group’s Summer production ‘A Grimm Night for Hans Christian Andersen’, a musical by Sue Gordon. 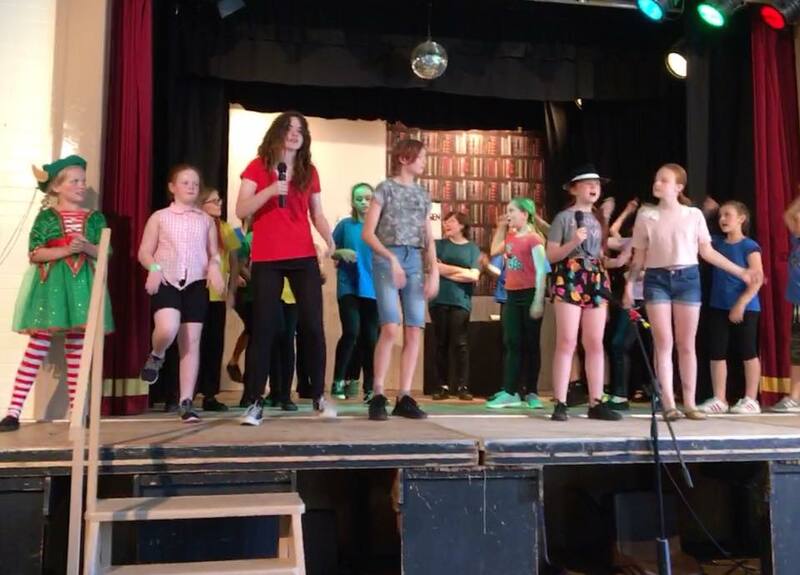 This was a Junior Production, as is becoming the Summer tradition for Sandiway Pantomime Group, and was brought to the stage in St John’s Church Hall last weekend by a cast of Juniors, whose ages ranged from 9 to 14. The stars of the show were too numerous to mention but all the performers got together to give a thrilling and spell – binding performance. Sufficient to say that Tony Bellamy-Hibbert in his review for North West End gives it a ‘Four Star’ rating. Press here to read the full review. 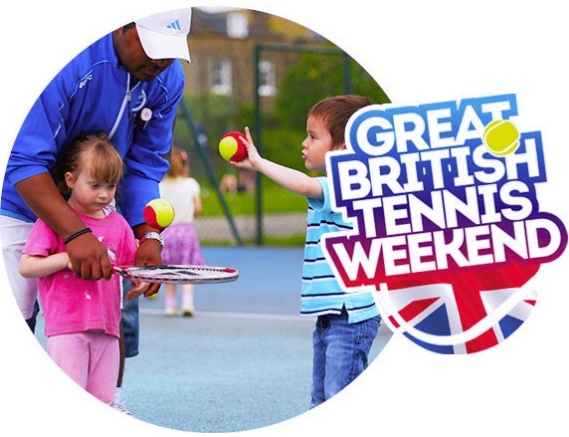 Supported by the LTA, Cuddington & Sandiway Tennis Club are holding a Great British Tennis Weekend on Saturday 21st July between 1.30-3pm, and on Sunday 22nd July between 1-2.30pm. Come and play tennis for free! Open to the public - Adult and Junior introductory sessions. Plus Cardio and competitions. All welcome. Racquets and balls provided if needed. Membership discounts available on the day should you wish to join for the year. Not sure about joining but would like the opportunity to play? Court hire is now available to the public on Courts 1 & 2. To book a court, visit their website at www.cuddingtontennis.org.uk/files/court_booking.html and follow the instructions to register and play. 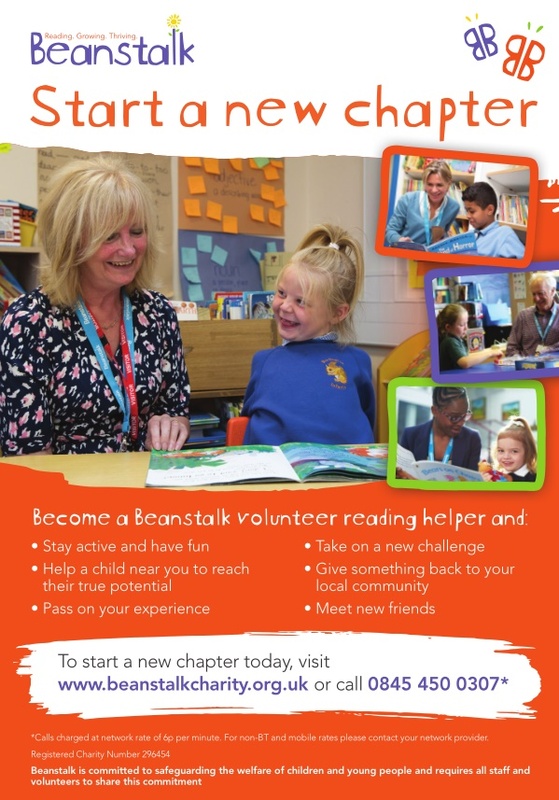 Beanstalk is a National Literacy Charity which provides one-to-one literacy support for children who struggle with their reading throughout the country. Beanstalk provide support for children from the ages of 3 – 11 years old from Nursery through to the end of Primary School. They are currently looking for members of the community in the Cuddington, Sandiway and Northwich area who can spare 1-1.5 hours twice a week to work with three children on a one to one basis at a local primary school or pre-school for at least one academic year. All their Beanstalk sessions are designed to be informal, fun , friendly and relaxed . It’s the perfect environment to help a child really develop a love of books and reading. No experience or qualifications are required as Beanstalk provides training and ongoing support. They just need volunteers to have a passion for working with children in a busy educational setting. Their volunteers are already used in at least one of our local primary schools. For more information call 0845 450 0301 or visit www.beanstalkcharity.org.uk. CCTV recording equipment has been installed at the village hall in an attempt to reduce vandalism. 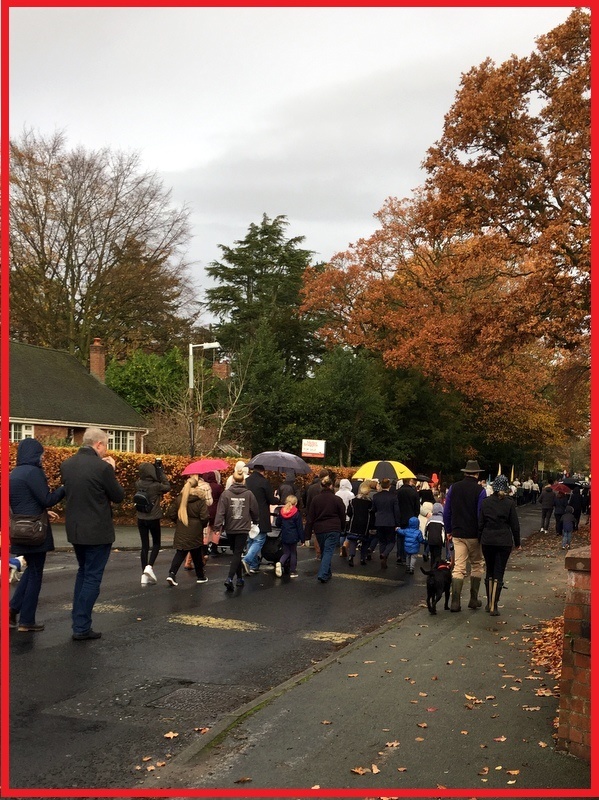 For those who are both interested in walking in the Cheshire Countryside and in helping to look after and protect the Public Rights of Way, the Society organises regular walks in Cheshire covering the footpaths in our area. General meeting took place 12th June - press here for draft minutes of the meeting. Name of Association agreed as "Cuddington and Sandiway Allotments Association". Temporary constitution approved for the period prior to running the allotments. Most Officers and committee elected. Our 2018 Citizen of the Year is Ken Nixon. 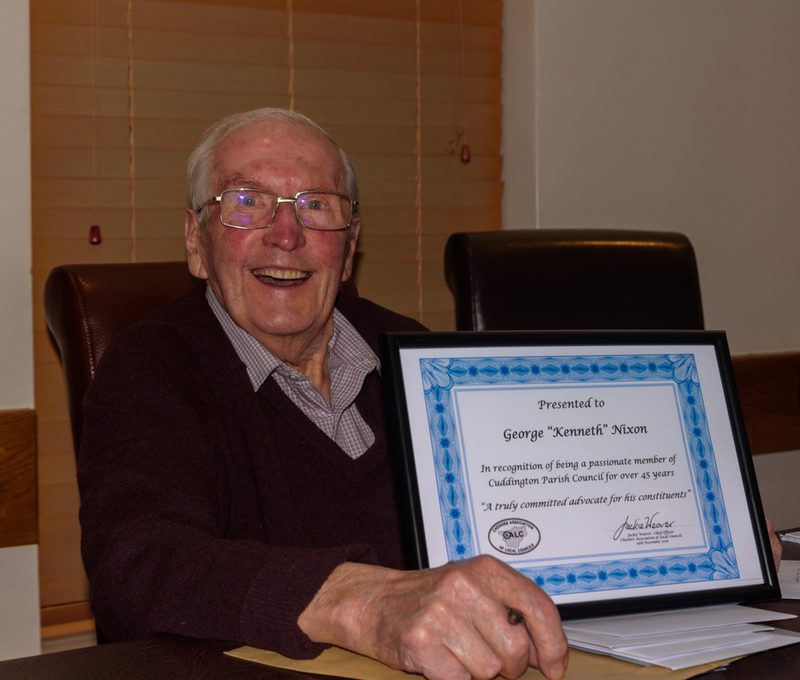 Ken has been a member of Cuddington parish council for 45 years and this has made him an invaluable source of local knowledge and history which has greatly assisted the council. Ken is passionate about local issues and is committed to doing his best for his constituents. He has been involved in many projects in the village including the Multi Use Games Area and the Weaverham Road football field. He has supported residents views regarding new development within the village and on several occasions has been our spokesman at Planning meetings. Ken is well known for his ‘hands on’ response to helping residents, including giving lifts to hospital appointments. He has also served on the Governing Body of Cuddington Primary School and involved himself with many other organisations. Our Junior Citizen of the year for 2018 is Amy Vaughan. Amy is very active in village life. She has been named as Most Promising Junior Member of Sandiway Pantomime Group and is very supportive and encouraging with new children joining the group. She is also a regular helper at Beavers. She is caring and thoughtful and loves to find ways of occupying her siblings and entertaining her grandparents by staging little performances for them. She has also helped with fundraising for Macmillan at a previous gala and she is involved in many after school activities. St John’s is looking for a part time Children & Family (CAF) Worker to help grow its work with families. St John’s is an active church that already has a strong offering for young people: a Junior Church, Messy Church, a Junior Choir, an improvised music group called JIMS, and a Youth Group. The church benefits from a dedicated team of volunteers, and has recently benefited from 3 years of a dedicated CAF worker. The church now has funding for a further year, at 10 hours a week – this would be a fixed term contract in the first instance, though it is hoped that there would be the opportunity to renew after the first year. The new CAF worker would deliver sessions with children, liaise with existing volunteers and seek to identify and develop new opportunities. If you are interested, please contact John Hughes, Vicar at St John’s Sandiway, for a job description and person specification. The application deadline has now been extended to July 10th 2018. 9th June 2018: Cuddington Parish Council and Cuddington & Sandiway Parish Playing Fields Association Ltd are celebrating the opening of newly refurbished playing fields on Norley Road Cuddington. The playing field is officially up and running following a launch party at the Village Gala Day on Saturday June 9th, Ward Councillor’s Harry Tonge, Charles Fifield and Paul Williams officiated. 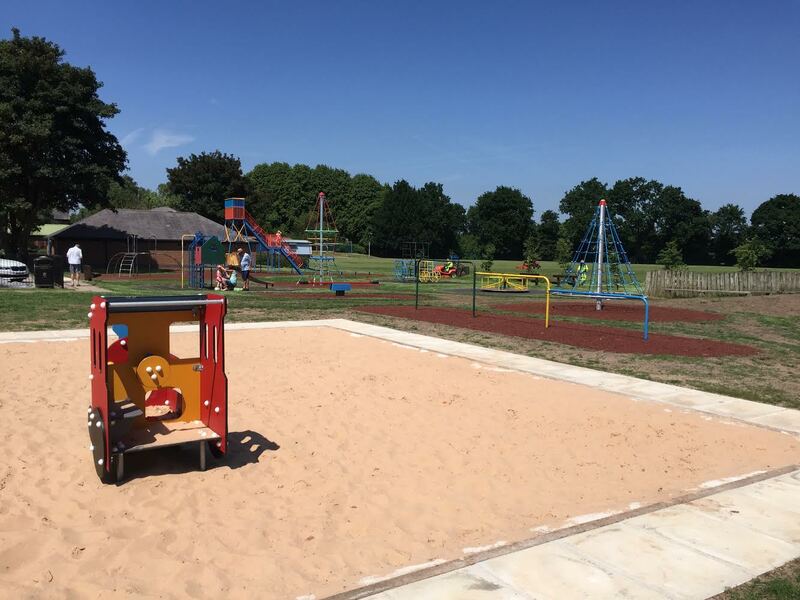 Some dated equipment has been replaced with, a Blackbeard's Ladder, a Rota Web climbing net, Train Playhouse, Ability Whirl and Toddler and Adult swing; in addition the very popular sand pit has been upgraded all of which was funded by a £50,000 grant from WREN’S FCC Community Action Fund. Parish Clerk Julie Chrimes is delighted that the project is now in use. She says: “This vital upgraded facility is going to make a real difference to those who use it, as well as the wider Cuddington & Sandiway community. We are extremely grateful to WREN for providing funding as we would not have been able to go ahead without its support.” The council also received donations from the Big Lottery fund, donations from the Cheshire West and Chester Ward Councillors, the Parish Council also secured funding from Sec 106 and a £1000 donation from Vale Royal Lions was also great fully received. 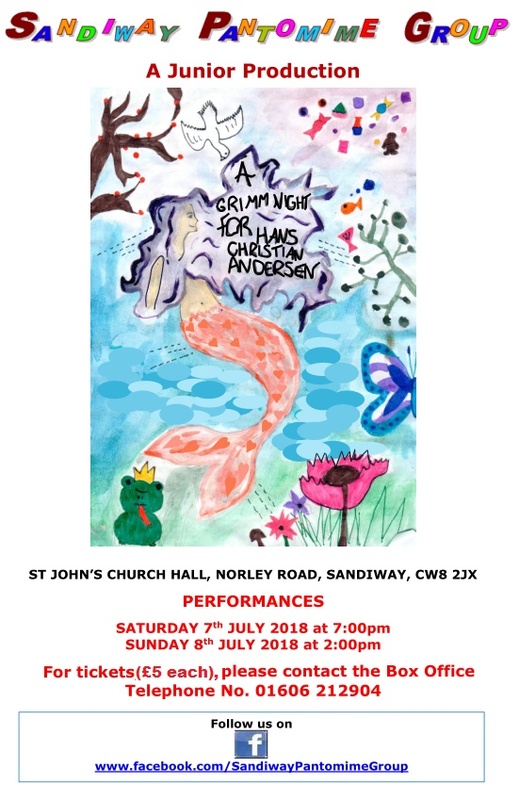 Sandiway Pantomime Group will be presenting ‘A Grimm Night for Hans Christian Andersen’ by Sue Gordon in St John’s Church Hall, Norley Road, Sandiway, CW8 2JX, with performances on Saturday 7th July 2018 at 7:00pm and Sunday 8th July 2018 at 2:00pm. In this Summer Junior Production, Hans Christian Andersen gets an unexpected visit from the Brothers Grimm - who seem to be upset over the matter of stealing story lines. A competition ensues, with characters from Andersen and Grimm stories taking the stage - often in unexpected ways. Tickets are now on sale from the Box Office, price £5 for all performances, or may be purchased on the door. Seating is on a ‘first come, first served' basis. The Box Office may be contacted on 01606 212904. Debit cards are welcome. 5 June: The Playing Field Association have only recently received the Safety Certificate for the playground which permits them to open the equipment to the public. The decision has been made to proceed despite the newly grass-seeded areas not growing because of the lack of rain. The remaining grass will be cut later this week, plus final minor works to be completed and the temporary fencing removed. 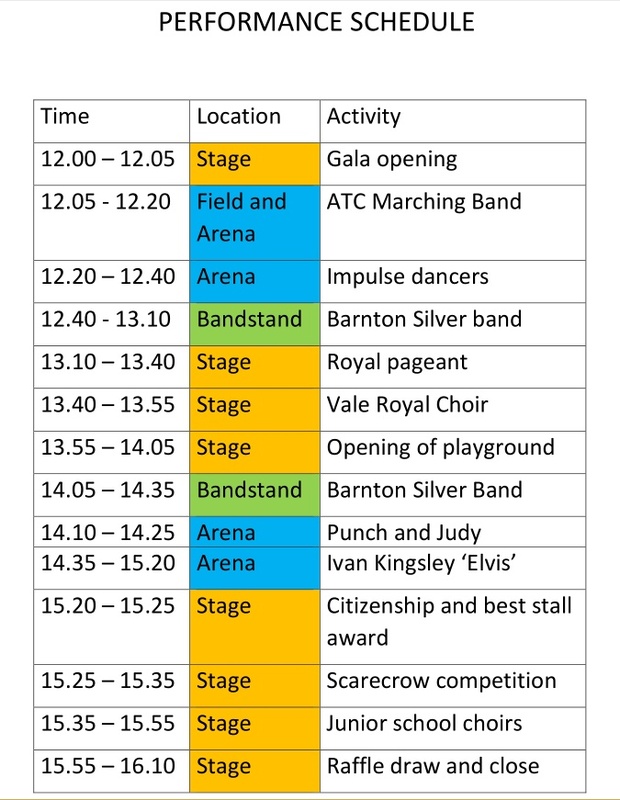 The playground will be formally opened at 1:55pm during the Gala Day celebrations. Also extensive further work will be carried out on the playing field in the near future. The football pitches are in poor condition and in great need of attention. For this work to be carried out, a large area of the playing field will be fenced off for a lengthy period of time which will include ‘settling time’. This period is important for the work to be effective in creating pitches which are safe and suitable for playing football so the council ask for patience and forbearance while the process is completed. This work is being carried out thanks to the availability of money as a result of the new houses which have been built in the Parish (referred to as Section 106 money) and in this case it has been designated for sports and leisure. Entries for the Scarecrow Competition has now closed. Here, for all you scarecrow aficionados, is the definitive list of village scarecrows for 2018. 14 East Lane; 22 East Lane; 41 East Lane; 4 Farndon Close; 2 Sandown, Crescent; 49 Sandown Crescent; 21 Mere Lane; 23 Mere Lane; 79 Ash Road; 4 Grange Road; 20 Grange Road; 16 Blake Lane; St John’s church grounds (Norley Road); Redwalls (80 Weaverham Road); Methodist Church, Weaverham Road; 22 Weaverham Road; 43 Weaverham Road; Hollybank, 584 Chester Road; Sandiway Lodge, Dalefords Lane; Pool Lane (opposite the Blue Cap); Blakemere entrance (Mid Cheshire Society of Model Engineers); 24 Fox Hill Close, Grange estate; 9 Holcroft Drive, Forest Edge. Four Paws (Norley Road); Beechwood Farm Nursery (Woods Lane/Dutton Lane). You can also pay for a journey you have already made by using our automated 24/7 payment system on 01928 878 878. To meet the needs of the growing population in the area, pumping stations are being built within United Utilities’ (UU) existing sites at Oakmere and Cuddington. Flows from the two treatment works will then be transferred onto Northwich Wastewater Treatment Works, via the new underground sewer pipe which will total 8.7km in length. UU started work in May 2017 and the work will take place over two phases to keep disruption to a minimum. You may need to allow a little extra time for your journey to work and school while UU are working in a particular area. UU will also need to put some lane and road closures in place to allow them to work on different sections of the road. The overview map www.unitedutilities.com/globalassets/documents/pdf/7392-lower-weaver-map.pdf indicates where UU are working. But don’t worry you will still be able to flush the loo, wash the dishes and carry out all your daily activities that generates wastewater and UU won’t need to turn off your water supply during our work, so you’ll still have great water on tap. At the Annual Meeting of St John’s, Sandiway, held on Sunday 29th April 2018, the Rev Dr John Hughes announced his intention to retire as Vicar on 31st December 2018. He has held this position since February 2011 and the Meeting wished him well in his retirement. 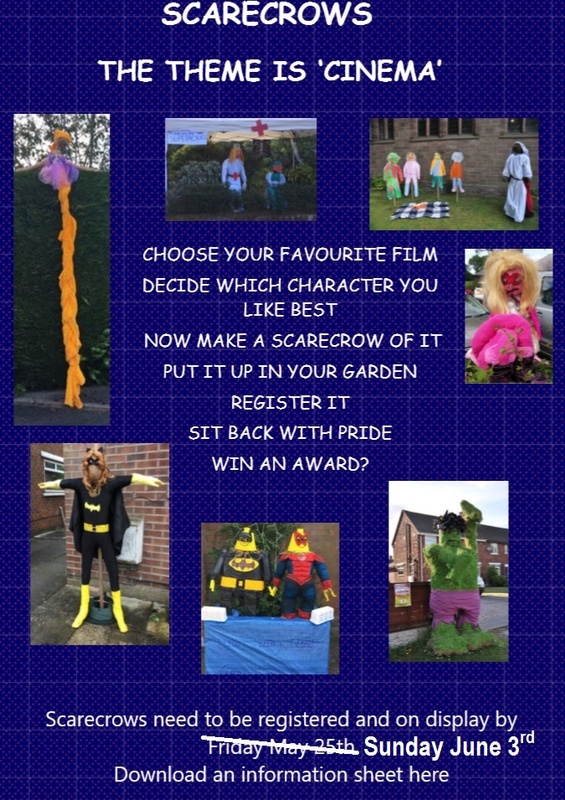 Scarecrow entry date extended - build yours now! The Gala Day committee have agreed to extend the closing date for Scarecrow registration to Sunday 3rd June to allow households to plan and build their scarecrows over the Bank Holiday weekend. So start designing!! The judging of the competition will be done in early June and the winners declared during the Gala Day itself on Saturday 9th June. Free Health Check for your rabbits! Hollybank Veterinary Centre are offering free health checks for your rabbits during "Rabbit Awareness Week" from 2-10 June - registration details on the attached poster. Hollybank Veterinary Centre is located at 584 Chester Road at the junction of Weaverham Road. Snow Angels, a local community support organisation, are introducing a new lunch club which is starting at Sandiway Manor next week. Snow Angels are based in Northwich but work with older people who feel isolated. 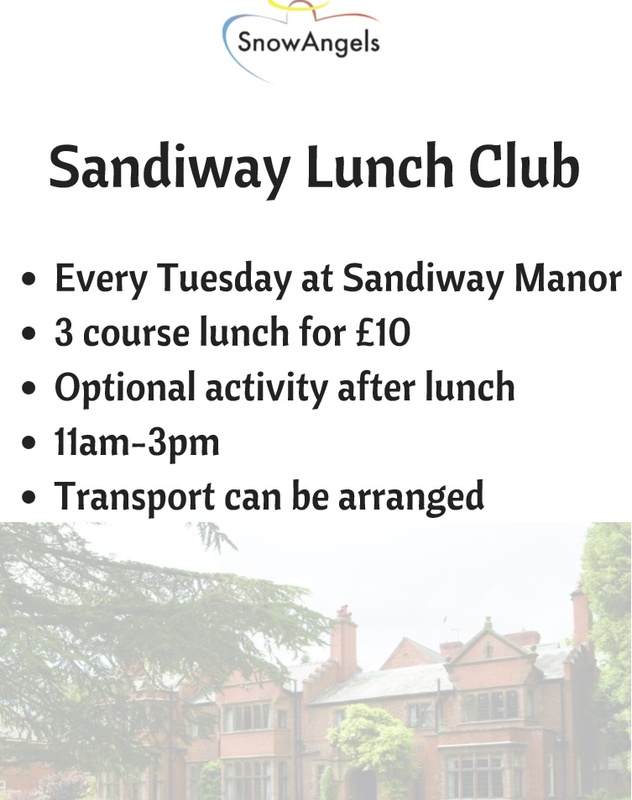 They are going to be running the lunch club every Tuesday with food cooked by the team at Sandiway Manor - there will also be an activity after lunch e.g. arts and crafts. The allotments being provided for the benefit of the community by Taylor Wimpey at their Eden Grange development are still expected to be ready early 2019. Minutes of all meetings of the Steering Group are on the Village Website at Parish Council Agenda and Minutes. Application deadline June 10th 2018. Note: The deadline has now been extended to July 10th 2018. Note that Northern Rail has changed the timetables for all trains stopping at Cuddington station. The new timetable is available if you Press Here. Press on the poster to see more about the Scarecrow Competition. 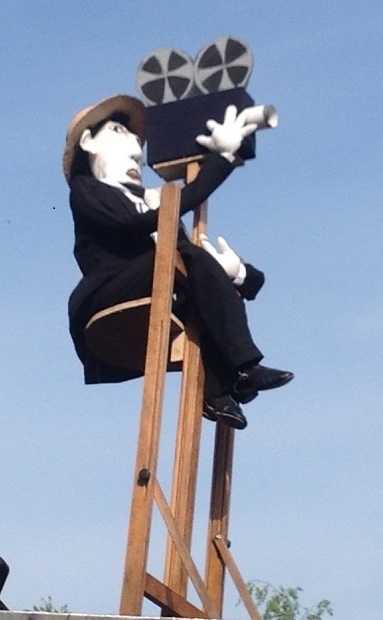 Update: Entry Date for Scarecrows has been extended to Sunday 3rd June. A gentle walk taking approximately 2 hours based on the theme of The Three Mills, an interesting insight into some local history. Ideal for newcomers to the village. All very welcome. Press Here for description of Cuddington Brook and its three mills. Meet at 10am in the Norley Road Playing Fields car park. As part of our Gala celebrations we acknowledge those people who quietly work away helping to make our community a better place to live in or helping individuals within it. An award is given for an adult and also one for a junior. Each year a Citizenship Award is presented at the Village Gala Day (on 9 June this year). This award is for an individual living within the Parish who has demonstrated outstanding commitment to, support of, and/or delivery of a service to the Cuddington and Sandiway community - awardees in the past are listed on the "Gala Day" page of this website. If you know of such an individual, please let us know by completing the nomination form (press here for copy) and deliver this form to Sandiway Library no later than 7pm on Friday 25th May. Last year we introduced a Junior Citizenship Award which is given by the Chivers family in memory of Dr Peter Chivers who was a great champion of children. This award will also be presented at Gala Day and is for a young person who has done something really special. The recipient must be under 18 and live within the Parish, or attend either Cuddington or Sandiway Primary School. Anyone can nominate someone for this award, not just their parent. They could be your grandchild, next door neighbour or anyone you know. However you will need to get the permission of their parent/guardian on the entry form (press here for copy) and, again, ensure that this form is delivered to Sandiway Library no later than 7pm on Friday 25th May. The Royal British Legion Cuddington Branch is launching an Appeal for funds in order to refurbish the Memorial to those young men of the village who did not return home from WW1. The stone engraved with the names of these men lies in the Grounds of Gorstage Cemetery. In this centenary year of WW1 it would seem right and fitting for the work of renovating the stone to be carried out as part of the village Remembrance. It needs cleaning and the engraved names need new gilding. Branch Secretary - Mrs P Chrimes: Telephone 01606 888276 or 07816 451435. Update: July 2018 - Donations towards the refurbishment of the village’s WW1 memorial stone have now passed the target amount. The justgiving donation site has therefore now been closed. A suitable use will be found for any extra funds e.g. a commemorative bench. 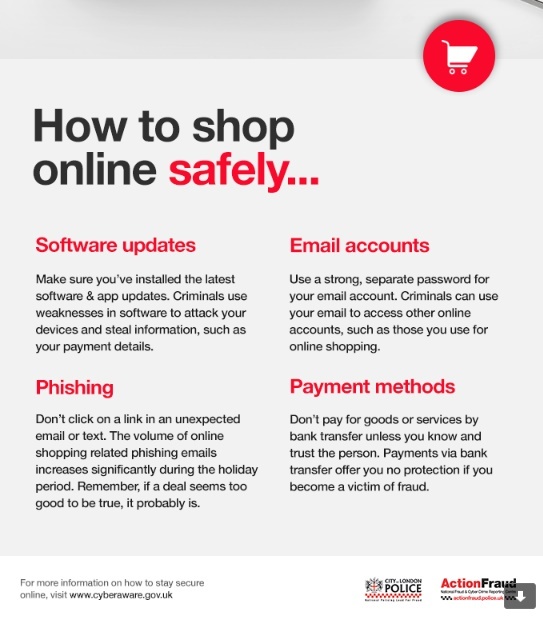 PCSO Nichola Davey has confirmed that she is arranging meetings to inform people about the scams that plague us all today. She knows of several local people who have lost money and so seeking prevention is important. The Parish Council are now considering their key objectives/ priorities. The intention is to take in the recommendations agreed by the Parish Council in its response to the Village Plan Implementation Group's final report. Flooding has been particularly bad recently at junction of Ash Road/ Forest Road and near the White Barn. The Parish Council are to request Cheshire West and Chester Council to look at these problems as their solutions up to now do not appear to be effective. Councillors are encouraging people to report floods to CWAC via their 'Report It' scheme (a link for which is on the Home page of this website). 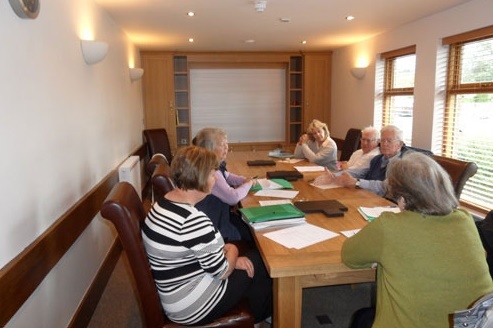 PARISH COUNCIL ANNUAL ASSEMBLY took place on Wednesday 18th April at the Village Hall. There were updates from Nichola Davey the local Police PCSO and a talk by Matthew Davies, Kier Recycling Engagement Coordinator on local refuse collection and disposal. There were also presentations from John Kerrigan on progress to date of the Neighbourhood Plan and Russell Smith on the Village Plan. Sue Mills, Head of Cuddington Primary School and Chris Priddy, Head of Sandiway Primary School gave the meeting a progress report for the year. Press here for Parish Council Chairman John Faulkner's annual report.